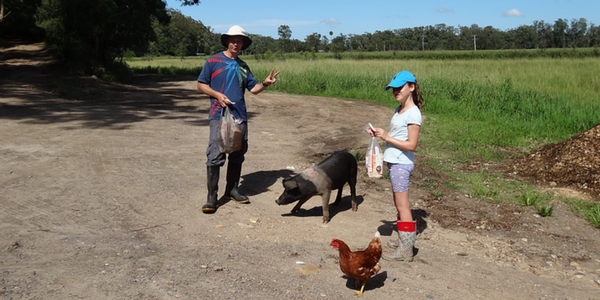 As a family we have often visited Kookaburra Cottages Farm Stay holiday farm near Nelson Bay in NSW. It is located in such a beautiful part of the world, with beaches, town and bush nearby. Our visits are such peaceful and enjoyable times for us – with our gumboots on, wandering around the farm. We love collecting yummy fresh eggs for breakfast, visiting all the animals, sitting on the veranda and feeding chickens from the veranda (always a favourite! ), jumping in mud puddles (especially when we find the deep ones), roasting marshmallows at night, and just generally hanging around the farm. When she was younger, Kristen would often stroll around the farm in a world of her own. Sometimes leading chickens with a trail of bread, other times strolling slowly through large mud puddles. She was always carefree and thoroughly enjoyed the animals. She has spent many hours in the chicken coop with the young chickens, honing her chicken-catching skills. Each time she catches a chicken, of course they have to have a flying lesson! We’ve had so many holidays at the farm, we get to help Scott do some extra farm work when we visit now. This includes activities like tackling the goats to trim their toenails, driving the tractor to help repair the road, collecting honey from the hives and helping mend fences. It’s great to get a taste of life in the country. 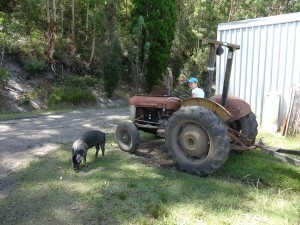 The pig has always been a good character on the farm. The one featured in the illustrations was a young piglet when we first met her. When she grew older, we even got to take her for a walk around the farm … and of course she rolled in a mud puddle she found along the way! One night, many years ago, the resident pig did escape! We were woken in the early hours of the morning, with some animal scratching and bumping around under our cabin and rubbing itself on the logs on which the cabin was built! We didn’t realise it was actually the pig that had woken us up until the next day, when we noticed it was out in the paddock instead of in it’s pigpen. Then we realised it was actually the pig under our cabin during the night! We had to lay a bread path for this pig to lead it back to the pigpen. That was great fun! Funnily enough, the cabin we were staying in at the time is fittingly called the Pigsty! The pig in the flowers was inspired by Uncle Steve, who was imagining what it would be like to own the farm. He said it would be just as likely that the pig would escape one night when he was away, and he would get a call from his wife to say the pig was in the neighbour’s field, destroying flowers! No flowers were actually harmed in the making of this story! There are many more great stories we have told and remembered from our wonderful farm visits. It has been great fun reliving some of these experiences as we have prepared the Farm Fun story for publishing. 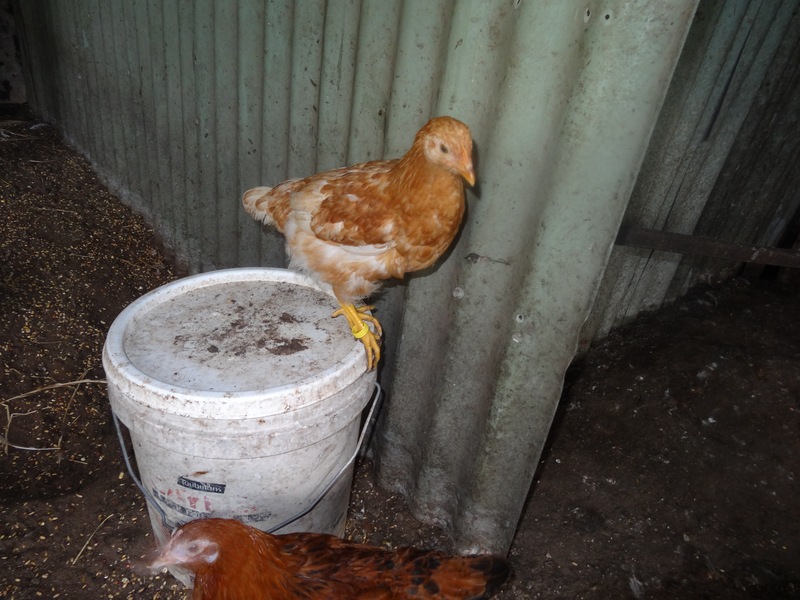 We hope you will enjoy this second farm story as much as we have enjoyed writing it! Yeah, they sure do, Aditya! All the stories are inspired by stuff we have done as a family. Thanks for checking out our site!